With more than forty years experience in organising British and European coach holidays, K.M. 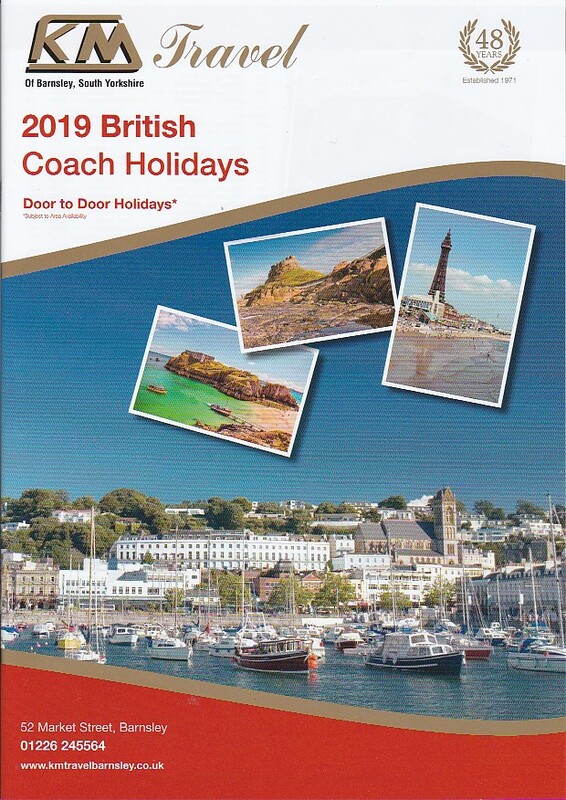 Motors is a local, family owned and operated coach holiday company based in South Yorkshire offering a wide range of great value, quality coach holidays. With local pick up points, plus a door to door service in Barnsley and the surrounding area, we guarantee excellent customer service and affordable prices. We pride ourselves on the high standards offered by our experienced reservations team and drivers, most of whom have been with us for many years. Currently operating six executive coaches, we continually upgrade our modern fleet providing a standard of service that is second to none. We recently took delivery of our latest vehicle, our second Irizar I6 which is one of the most up to date on the market. We are also able to offer a highly professional and competitive private hire service providing executive coaches of the highest standard fully equipped with the latest on board facilities and safety features. We are open six days a week – Mon to Fri 9.00 a.m. to 5.00 p.m. & Saturdays 9.00 a.m. to 4.00 p.m.